The farm located at 16365 NE Calkins Ln Newberg, OR 97132 is made up of 50.9 acres. It has multiple out buildings including a brand new 13,000 sf metal building on slab with OLCC approved surveillance. The property also has a 2,653 sf manufactured home with 3 bedrooms and 2 bathrooms. The fenced in area represents 10 acres of OLCC approved outdoor grow area that has an approved monitoring system built in. It currently has a tier 2 OLCC grow license operating on it which allows for 5,000 sf of indoor growing and 10,000 sf of outdoor. The application process has been started for the following licenses as well: wholesale, processing & limited retail (prior to June 15, 2018). Please contact for details on all of equipment and inventory included. 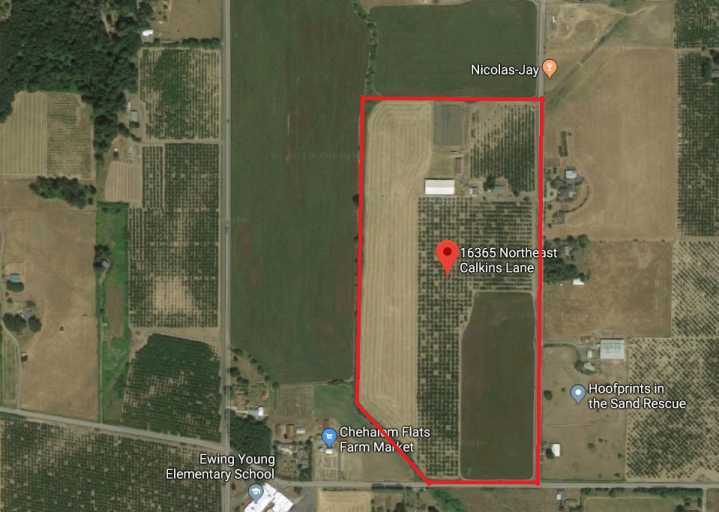 List price for farm is $1,600,000 and business for $200,000 (See List) The remaining 30 acres are currently being used as hazel nut and hay production but there is no lease in place for either tenant. A great opportunity for placement of Hemp.